In the name of Hilda – Our Murials (Murals) have been restored! 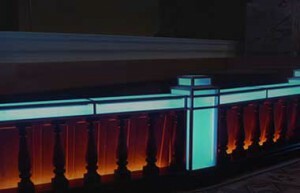 On October 7th 1932 the very first audience to enter The newly opened Stockport Plaza Super Cinema and Variety were transported to a sumptuous palace of entertainment in an auditorium that glinted with rich shimering gold and silvered paintwork reaching up to the lofty heights of our domed ceiling which was crowned by our magnificent electrolier light fitting. Sitting in your moquette clad seats you would experience the sensation of our atmospheric interior decor which included our house tableaux curtains depicting a delightful garden filled with hollyhocks and bumble bees, above you the lighting would gleam in soft hues of blue to emphasis the sky above whilst in the circle and balcony you could view through a balustrade scenic vistas offering your the sensation of being in your palace and looking out to the exotic world beyond. 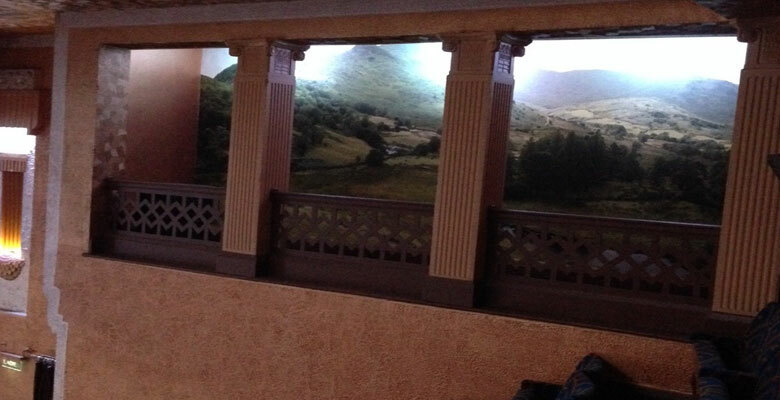 Our latest stage of the complete restoration of Stockports 1932 Art Deco Super Cinema and been expertly undertaken under the guiding hand of Gary Trinder our Vice Chairman and Technical Director with the installation of the first stage of our restored vistas in the Balcony which depict scenes of Wetherlam and Little Langdale Tarn in the Lake District taken form the vantage point of Lingmoor Fell. 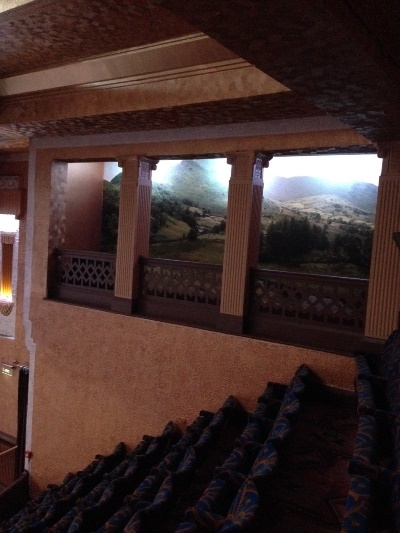 The remaining stages of this part of our restoration are scheduled for later this year with the return of musical instrument designs depicted above the double doors at the front of our Stalls seating and also another vista to be attached in specialist parchment as per the grand vistas already in situe along the front of our stage. 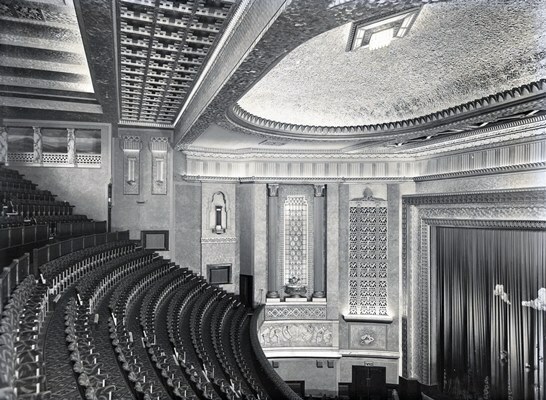 We may not have flying ducks on our Murial but I’m sure Hilda Ogden would be as impressed as we are and we hope you will be with the stunning scenes that now complete the magnificent beauty of our auditorium.